Feinstein’s/54 Below, Broadway’s Supper Club, offers an unforgettable New York nightlife experience, combining performances by Broadway’s best with world class dining in an elegant setting. Steps from Times Square, the club is known as Broadway’s living room, a home away from home for Broadway professionals and audiences alike. With pre-theatre dinner offered nightly from 5pm, Feinstein’s/54 Below has set a new culinary standard for New York City entertainment venues. In June of 2012, the club opened under the name 54 Below. The space underwent a complete reinvention by multiple Tony Award-winning producers Tom Viertel, Marc Routh, Richard Frankel and Steve Baruch (Hairspray, The Producers), who brought together Broadway’s and New York’s most creative artists and designers as well as top food and hospitality professionals to launch and oversee this only-in-Manhattan, matchless nightspot. On September 17, 2015, through a creative partnership with Michael Feinstein, the Ambassador of the American Songbook, 54 Below was renamed Feinstein’s/54 Below. Designed by multiple Tony Award winners John Lee Beatty (restaurant design) and Ken Billington (lighting), sound designer Peter Hylenski, and architect Richard Lewis, Feinstein’s/54 Below’s creative team is led by Jennifer Ashley Tepper, Director of Programming. 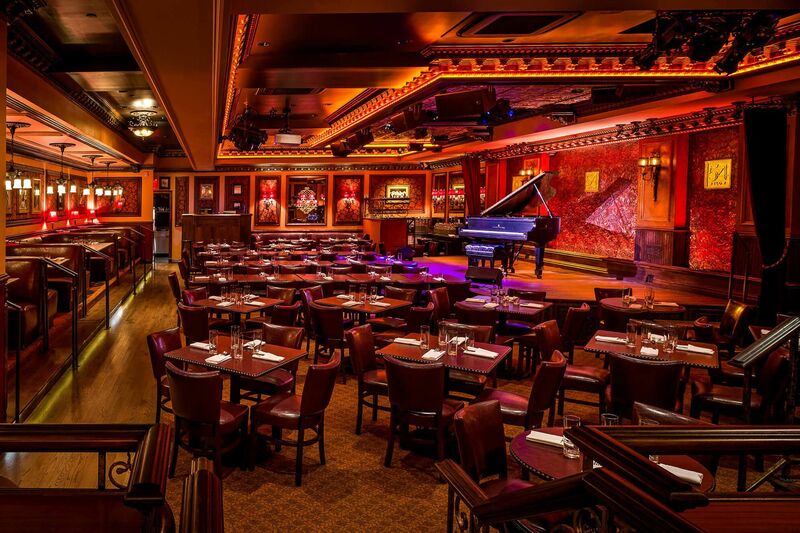 Feinstein’s/54 Below features up to three shows nightly as well as a late night lounge. Accommodating 134 people in the main dining room, with all tables no more than 24 feet from the stage, the facilities include the capability to broadcast and record audio and video.